There have been so many major data breaches over the past year or two that it’s hardly even news anymore when millions of customer accounts are compromised. We’ve become jaded, and just expect that attackers will find a way to penetrate our networks and steal our data. The reality, however, is that there is one simple thing companies—and individuals—can do that will prevent the vast majority of data breaches: two-factor authentication. “While people may claim that the attackers in these breaches are advanced, sophisticated, or state-sponsored, their actual execution is quite simple in nature,” declared Jon Oberheide, co-founder and CTO of Duo Security. “Simple phishing and other credential theft attacks have not only been the initial entry vector to these companies, but also how attackers move laterally within an organization to reach their eventual target." There are three ways to authenticate an identity: something you know like a password, something you have like a USB key, and something you are, like a fingerprint. Usernames and passwords are still the primary means of authentication for most companies, people, and devices, but they only represent a single factor, because they’re both something you know. Usernames are generally trivial to guess, and passwords are relatively easy to crack or compromise. Attackers also often acquire usernames and passwords through phishing attacks. In the case of breaches like Target, or Home Depot, or Sony, the attackers were able to obtain valid username and password credentials to access the network, and the rest is history. Had those organizations used two-factor authentication, and also required something you have or something you are, the attackers wouldn’t have been able to do much with the username and password. However, two-factor authentication alone is not enough. It has to be properly implemented two-factor authentication. In other words, even organizations that have two-factor authentication in place are often using it only for specific users or servers. All it takes is one unprotected server housing sensitive information that isn’t protected with two-factor authentication, and the results can be a catastrophic data breach. It’s like locking every door and window in your house except for one, and hoping a burglar isn’t thorough enough to find the one unlocked entrance. There’s some good news, according to Oberheide. 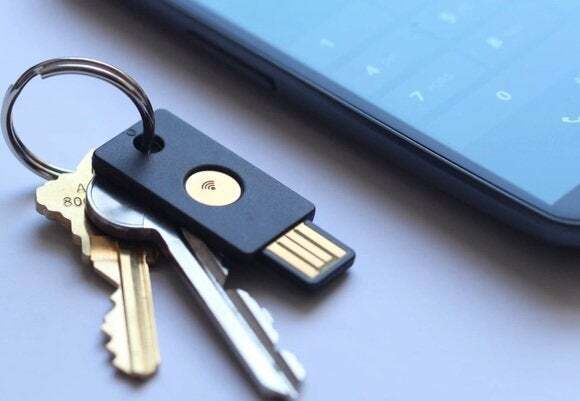 “In an environment where firewalls are becoming increasingly irrelevant (what does "on-premise" mean to a small company in an IT world of cloud and mobile) and endpoint antivirus efficacy is laughable, two-factor authentication is becoming the go-to security technology for organizations of all sizes.” Thanks to initiatives like FIDO, and emerging two-factor authentication systems that are simpler and less expensive, two-factor authentication is gaining momentum. Companies and individuals should utilize two-factor authentication everywhere it’s possible or offered. It’s only a matter of time until a username and password is compromised, but as long as the attacker doesn’t also have the mobile phone or fingerprint that goes with those credentials, the data will still be safe.